The best way to start saving is to figure out how much you’re spending and create a budget. There are several key factors that go into every American budget: food, healthcare, transportation, housing, personal insurance and pensions, entertainment, cash contributions, clothing and miscellaneous, according to the Bureau of Labor Statistics. This article is part of a series of articles in which you'll figure out different ways to save up for a down payment on a home within five years. How Much of Your Budget Goes To Housing? Ideally, no more than 30 percent of your income should be going toward housing. The majority of Americans spend 32.9 percent of their income on housing – more than the recommended amount. The first step to saving up money is gouging what percentage of your income you are spending on housing. If you are spending less than 30 percent of your income on housing, dedicate the remainder to a savings account. For example, if your household income is $36,000 per year, 30 percent of your income is $10,800, which breaks down into $900 a month. Deduct however much your rent is from $900 and dedicate the rest of the money to a savings account so that you can work towards paying for a down payment. So, if you pay $800 a month in rent you can save $100 a month for a down payment. Realistically speaking, saving $100 a month is not the way to save up for a down payment. At $100 a month, it would take you just over 40 years to save up for a down payment on the median home. However, it is a good place to start. The person using the 30 percent rule in the example above to purchase a home would save $6,000 over the course of five years. 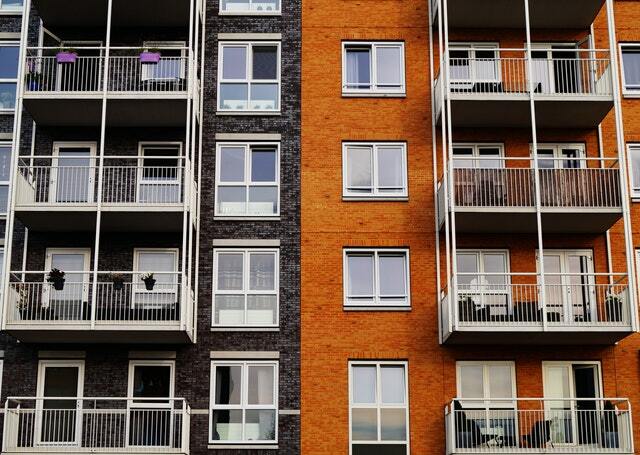 After analyzing what percentage of your income you spend on rent, you may not be under 30 percent, but that does not mean there isn't room for you to save money. If you don't have kids, consider getting a roommate. Upscaling your unit size typically does not cost a lot of money. For example, one bedroom might cost $800, but a two bedroom could cost $1,000. The second bedroom allows you the space to get a roommate, and thus, you can split your rent! Instead of paying $800 a month, you're paying $500, which allows you to save an extra $300 a month toward your down payment! Just be sure to pick someone you know and trust. or sign a roommate agreement to ensure that the house is picked up and quiet. Practice deferred gratification. Deferred gratification means that you struggle a little bit now so that you can be more successful in the future. For example, when a student goes to college so that they can get a higher paying job after graduation. The student has to study longer and doesn't have as much time to work and make money, but the idea is that it will be worth it in the end. When you apply this to your housing situation, consider getting a unit that is smaller than you're used to, one that doesn't have as many amenities or one that is further from where you work so that you can get a lower rent. Yes, you will not enjoy the property as much and you'll have to sit in traffic longer, but you'll save more money on your rent to put toward your down payment for your dream home. Apply for government assistance. Programs like the Housing Choice Voucher Program (Section 8) can subsidize your rent. That way, you'll be able to save money you're already spending on housing for your down payment. Additionally, there are many state grants that can help you afford a down payment too. A really creative way to save money on housing is offering to housesit. Many richer people go on vacations for several months or even weeks. If you don't have a lot of possessions, you may want to consider becoming a house sitter. Usually, you have to pay for utilities to house sit, but if you get lucky, you might even get paid for it. On the homeowner's side, the purpose is to prevent anyone from breaking in and squatting within the home. However, your purpose is to have a place to live rent free! How Much Closer Are You to Affording a Down Payment? Through this example, we've illustrated that by saving $100 of your rent money each month, you can save $6,000 over the course of five years. If you follow multiple strategies listed above, you can save even more than that. In the last article, we wrote about saving by budgeting groceries, we discussed how you can save $2,055 a year. That is a total of $10,275 savings on groceries in five years. Add that to the money you've saved on housing, and you have saved $16,275. That's a third of your down payment for a conventional mortgage. Apartment Architect Balcony Building by George Becker is licensed under CCO. Martin Orefice is a real estate investor who has been in the industry for over a decade. He has experience with rent to own deals from all sides—as a buyer, seller and investor. He created RentToOwnLabs.com to provide the #1 resource where people can find information about all things rent to own.